That’s such a cute hat pattern! I went right away to Ravelry and downloaded it. Don’t you just love Blue Moon sock yarn? 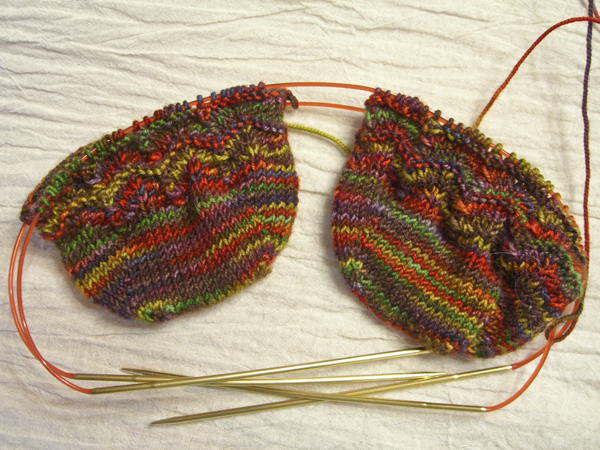 Thanks for the yarn link…..it didn’t look like there was any more “glam,” but there sure are some pretty colors! BTW, I liked those 3 words also. Yeah, that “Former President Bush” makes my heart sing, too! I had ignored that hat pattern on Knitty, but yours has made me go back for a second look. So very pretty! 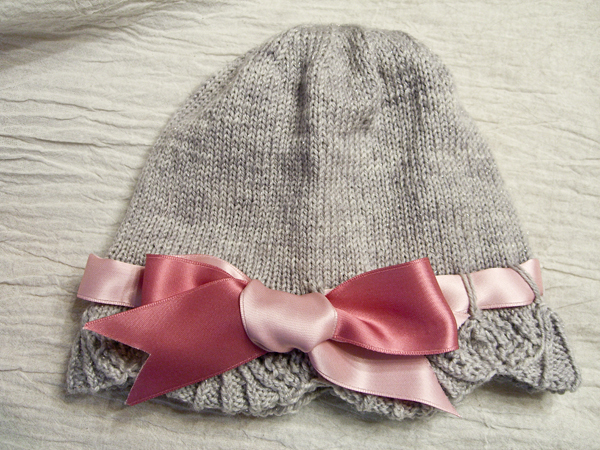 Gorgeous hat…and I love my feather & fan socks pattern, too! OH…”Former” makes the world feel right again, doesn’t it! The hat is really beautiful and the socks and yarn are really cool! And I can’t agree more on the “Former” issue. I laughed, clapped and did a little dance when I saw “the shrub” and Mrs. get on that helicopter to fly away! What joy! I heard two words I’ve been waiting to hear for a very long time also…”President Obama”. Sounds so wonderful.